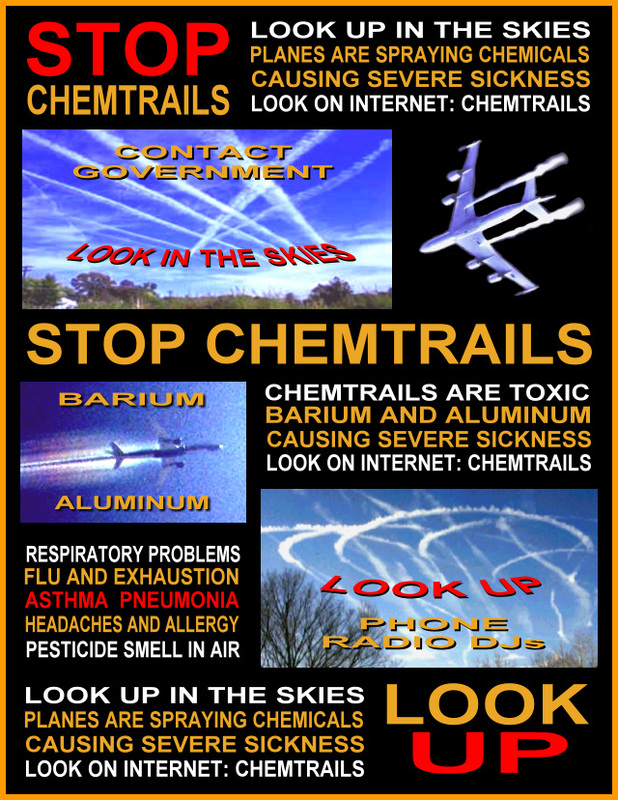 And Yet They Deny: N.W.O KILLING YOU! IS OUR WATER BEING MESSED WITH?! other urinary organs 22%; other organs specifically female: Breast 15%; Ovary and Fallopian Tube, 15%. 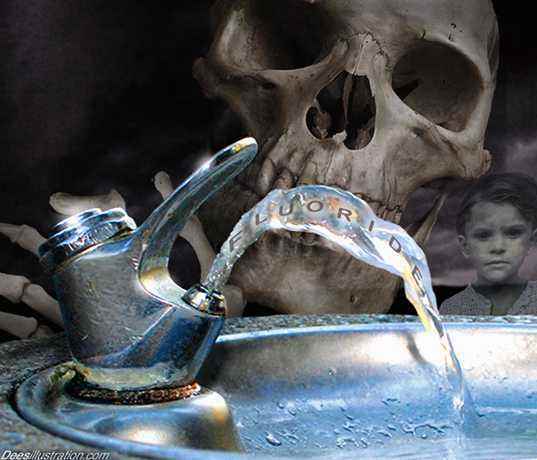 fluoridated city water but should substitute bottled spring water or distilled water. VIDEO AND HOW SOME CANCER AND HOW AIDS WAS INVENTED AND HOW THE ELITE WANT YOU TO PAY FOR YOUR DEATH! is now carried by everybody in North America and possibly most people throughout the world. BIG BROTHER WATCHING ME AND MY FAMILY?! 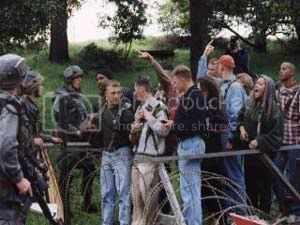 and you thought it could'nt happen in America. 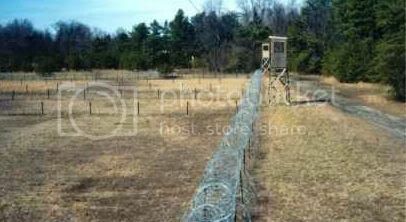 There are over 600 prison camps in the United States, all fully operational and ready to receive prisoners. They are all staffed and even surrounded by full-time guards, but they are all empty. 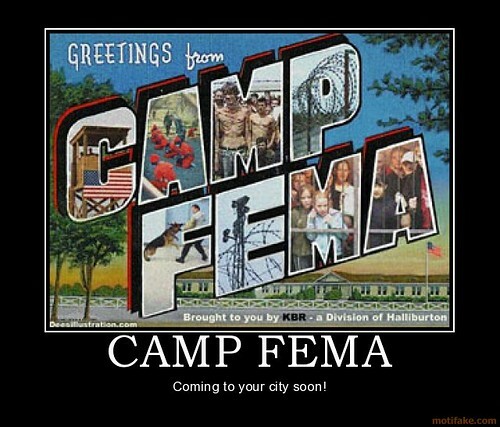 These camps are to be operated by FEMA (Federal Emergency Management Agency) should Martial Law need to be implemented in the United States. 10995: Right to seize all communications media in the United States. 10997: Right to seize all electric power, fuels and minerals, both public and private. 10999: Right to seize all means of transportation, including personal vehicles of any kind and total control of highways, seaports and waterways. 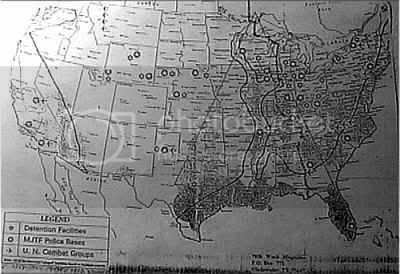 11000: Right to seize any and all American people and divide up families in order to create work forces to be transferred to any place the gov. sees fit. 11001: Right to seize all health, education and welfare facilities, both public and private. 11002: Right to force registration of all men, women and children in the United States. 11003: Right to seize all air space, airports and aircraft. 11004: Right to seize all housing and finance authorities in order to establish "Relocation Designated Areas" and to force abandonment of areas classified as "unsafe". 11005: Right to seize all railroads, inland waterways, and storage facilities, both public and private. 11921: Authorizes plans to establish government control of wages and salaries, credit and the flow of money in U.S. financial institutions. 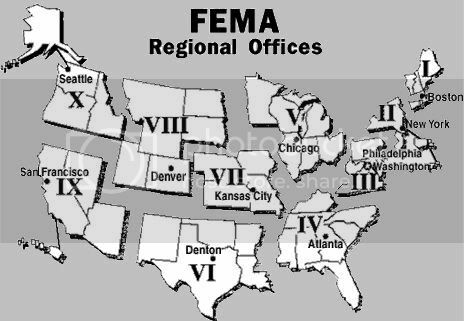 FEMA'S Rex 1984 Program allowed many military bases to be closed down and to be turned into prisons. 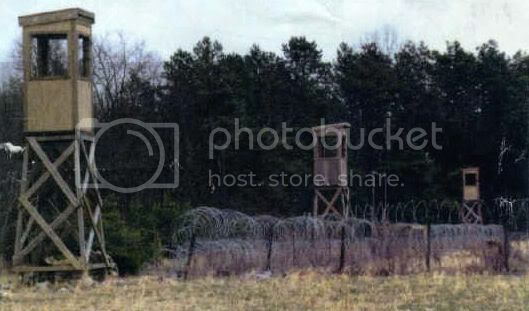 The majority of the camps can house a population of 20,000 prisoners. 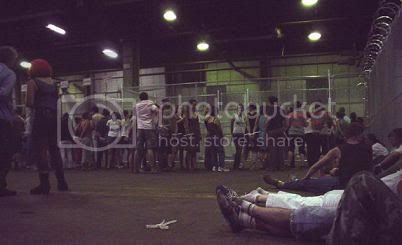 Currently, the largest of these facilities is just outside of Fairbanks, Alaska and can hold approximately 2 million people. 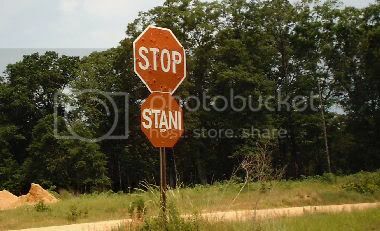 Notice the stop sign in English and Russian to welcome the friendly UN foreign troops on our soil. 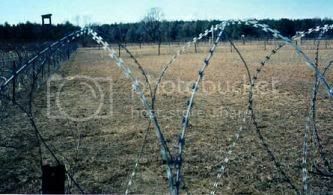 Notice how the fences all point inward. Why? 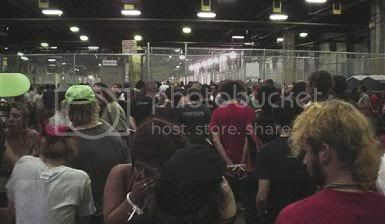 To keep people in? What people? Who are going to be it’s occupants? 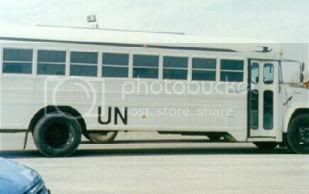 UN white school buses waiting to be used in America to load you and your family to the camps. 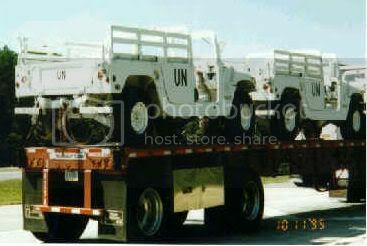 UN Hummers that will be used against Americans with the coming Marshall Law! 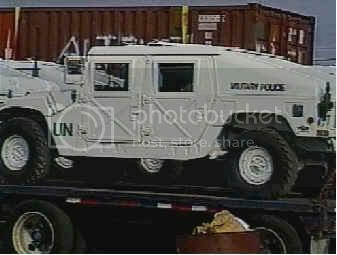 Notice the words "Military Police" painted on the side of each one.Protecting our bases and soon your streets from the evil "terrorists." 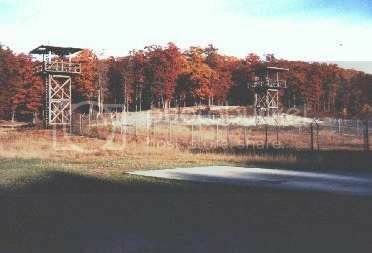 s,MLTF Police bases and UN Combat Groups. THEY WANT TO KNOW EVERYTHING YOU DO?! WHAT'S NEXT FOR THE NEW WORLD ORDER SURVEILLANCE?A NATIONAL ID CARD? OR ARE THEY ARE GOING TO CHIP YOU! JUST AS THE BIBLE HAS STATED ABOUT THE MARK OF THE BEAST! THEY ARE GOING TO KNOW EVERYTHING ABOUT YOU!THIS IS A TOTAL MONITORING OF YOUR LIFE! FROM CRADLE TO GRAVE! WHAT YOU BUY,EAT,WHO YOU HANG OUT WITH! THEY WILL KNOW EVERYTHING ABOUT YOU! THEY WILL CONTROL OF YOUR LIFE! WE MUST SAY NO TO THE CHIP! 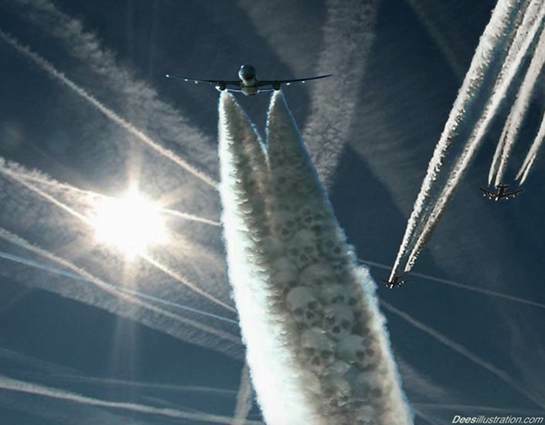 'Chemtrails' or 'Chem Trails' is a massive global spraying operation using a large fleet of many hundreds of aircraft which seem to operate over most countries of the world. 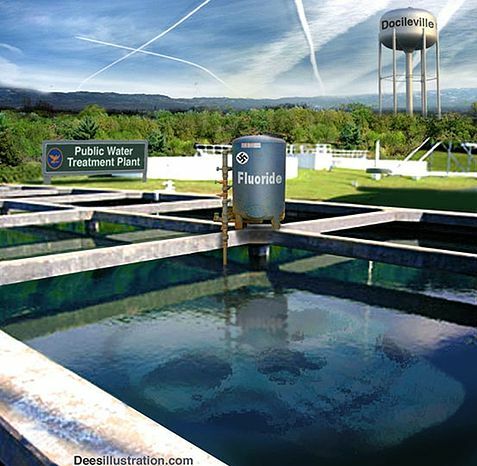 This outside-of-big-media worldwide aerial discharging operation became severe around the year 2000, and by now must be severely damaging all life on Earth. 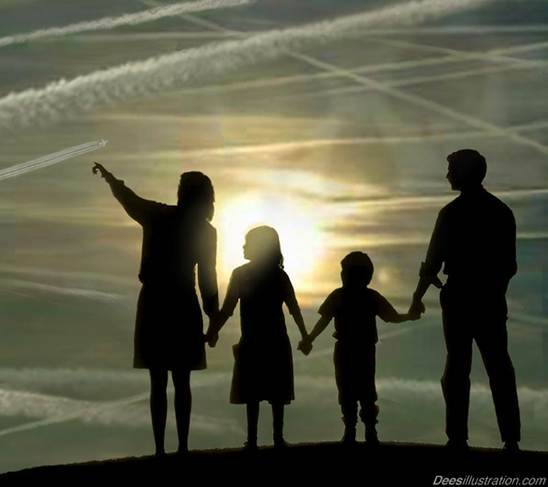 There are, according to a large number of reports over the past several years, babies, children and adults going to hospital with breathing problems and chronic and acute severe sickness all over the world because of this massive, aerial discharging ofbioweapons, chemicals and metals. 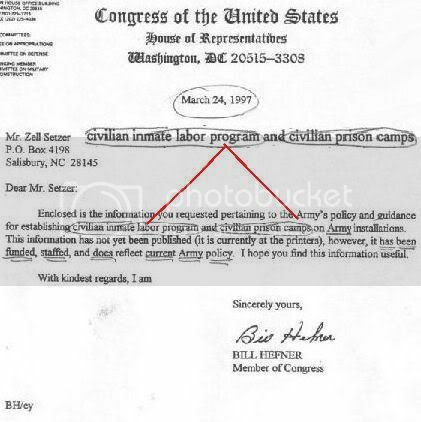 Don't you think it is time we did something about this? THERE KILLING US LET'S STOP THIS NOW! !